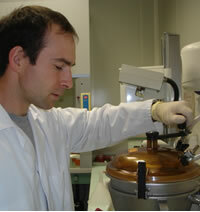 In 2002, the DE SANGOSSE Group acquired LIPHATECH. LIPHATECH's background and skill set in rodenticides enabled the Group to develop its product range using the three active molecules owned by LIPHATECH: Chlorophacinone, Bromadiolone, and Difethialone. Our recognized technical expertise extends well beyond the biology of target rodents. It also covers safety, regulatory affairs, marketing and toxicovigilance. 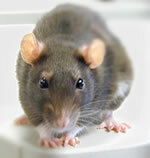 In our development activities, we carry out tests on wild rodents in laboratories and/or in the field. All of these skills mean that we can provide professionals with state-of-the-art solutions. The DE SANGOSSE Group is maintaining, through LIPHATECH, a historic partnership with VETAGROSUP that has lasted for over 20 years. This partnership allows the Group to informed at all times of the latest scientific progress and to contribute to that progress. Our target: to innovate on the market, enhancing safety for users and non-target species, respecting the environment at all times. In order to do this, we work unstintingly on new formulations and active ingredients that we test in the laboratory, under controlled conditions, and in the field on target species. In order to meet our objectives, we are open to collaboration with the public and private sectors to share knowledge and further progress.